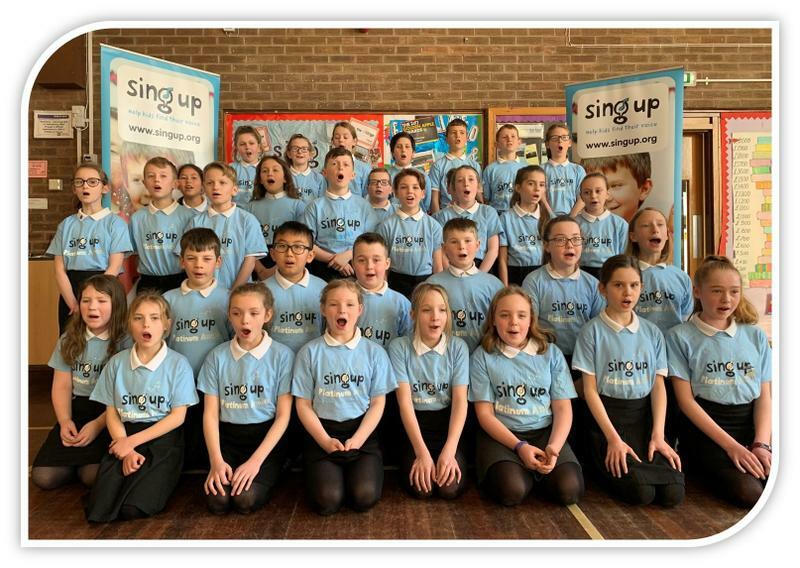 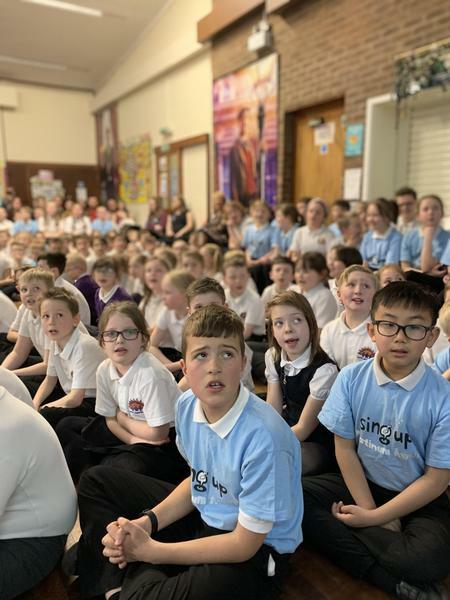 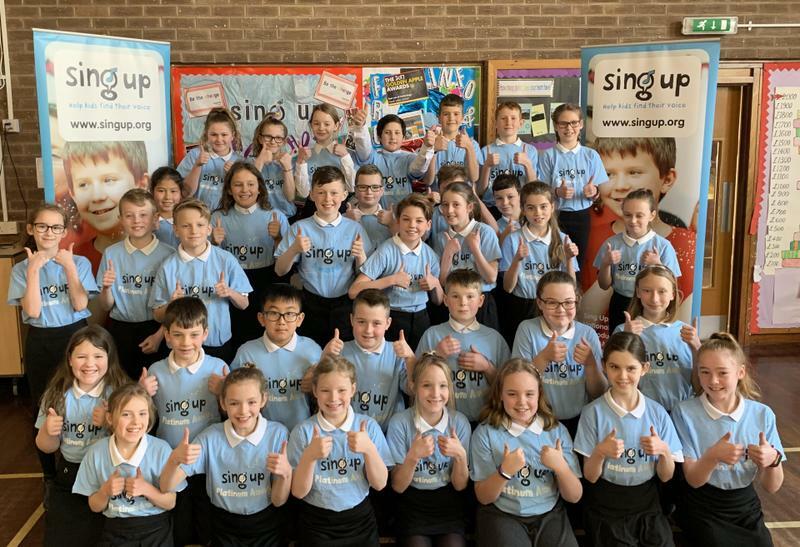 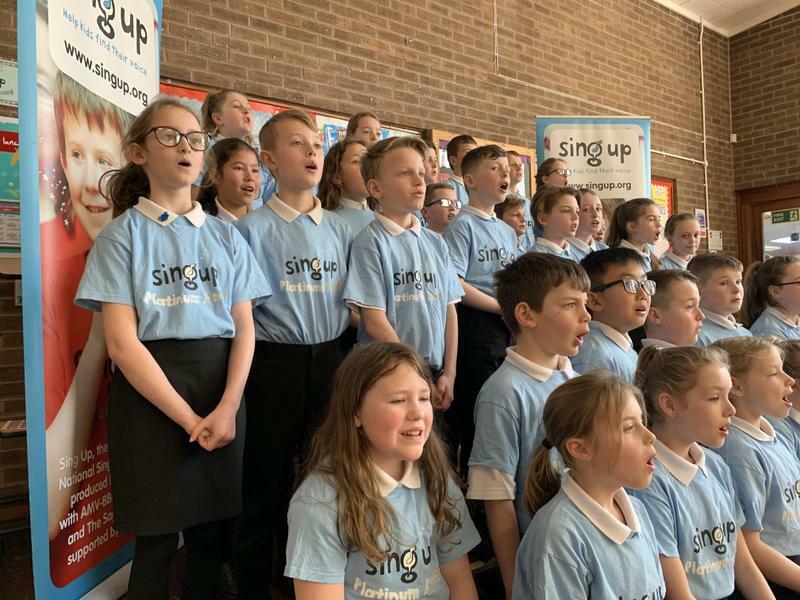 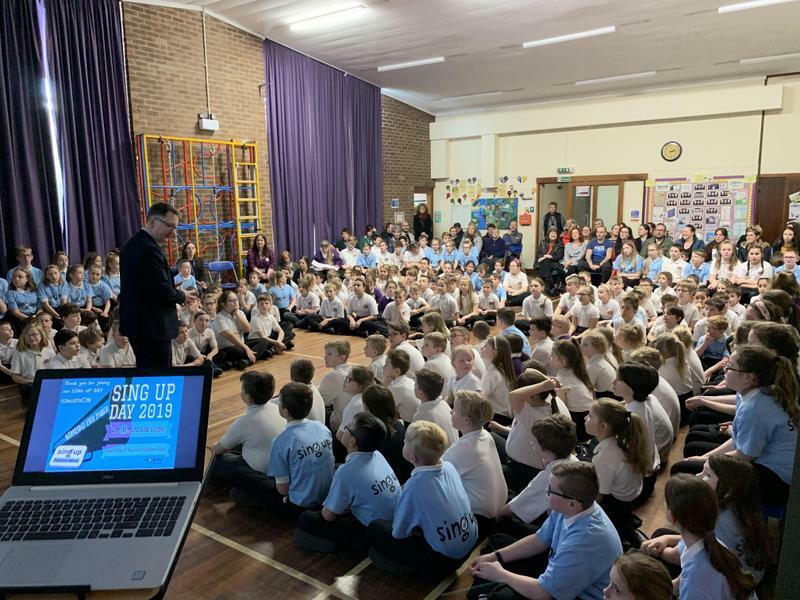 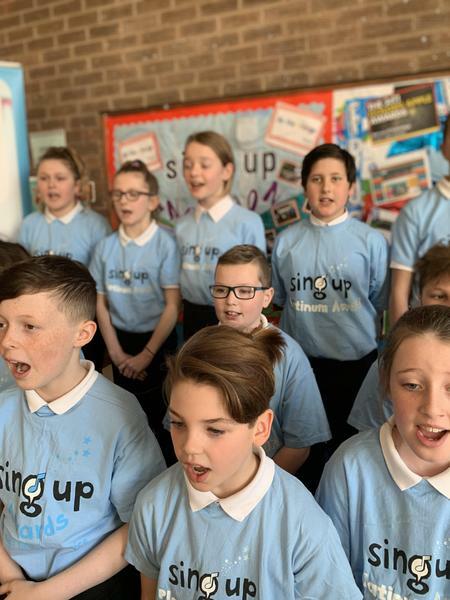 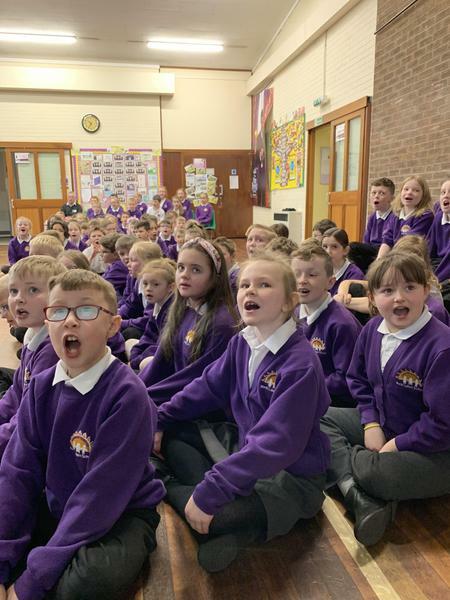 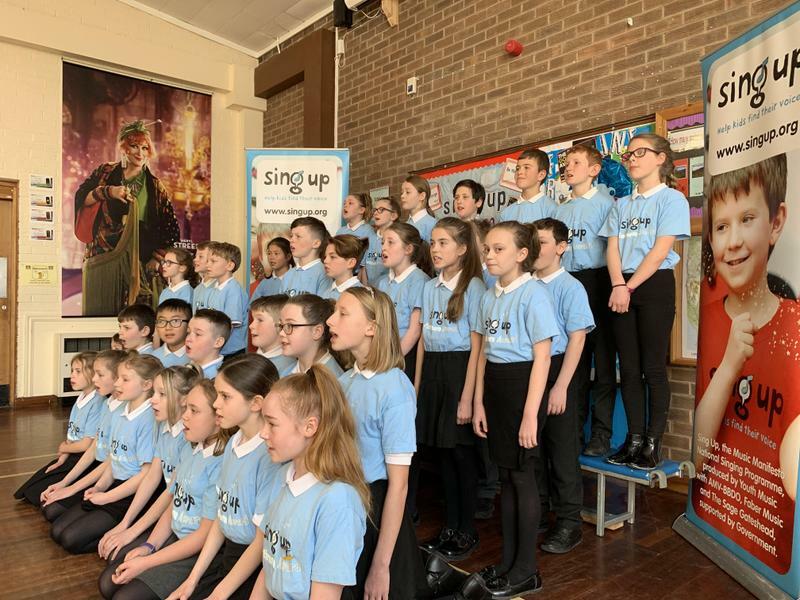 Every nook and cranny of North Lakes was filled with the sound of ‘Platinum’ singing on Wednesday 13th March as we flew our flag for Sing Up Day. 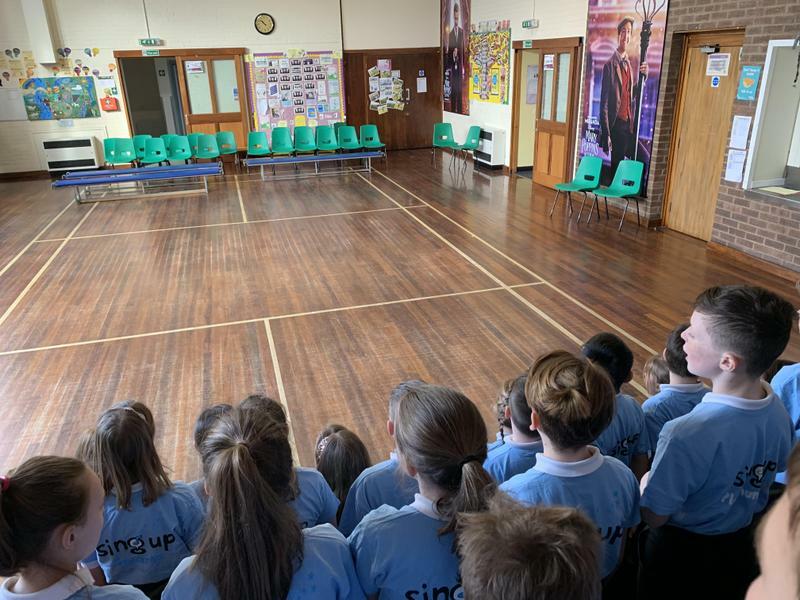 The day began with a special warm up to get our whole bodies geared up for singing followed by a collection of this year’s favourite songs including ‘One Moment, One People’, the Sing Up Day anthem by Beccy Owen. 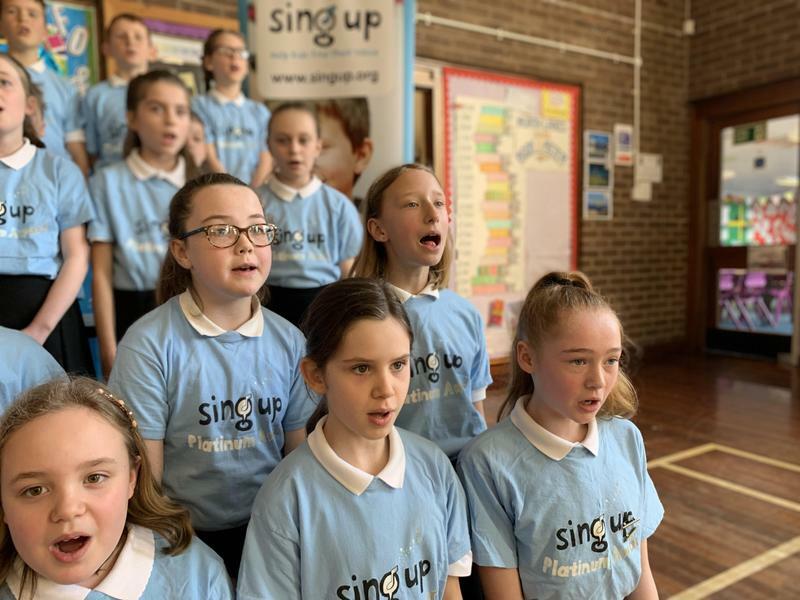 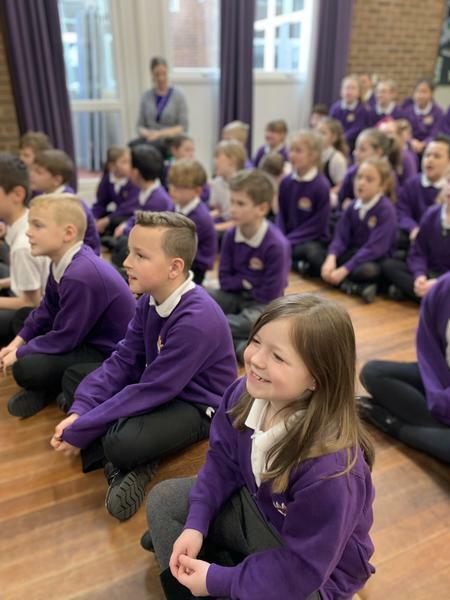 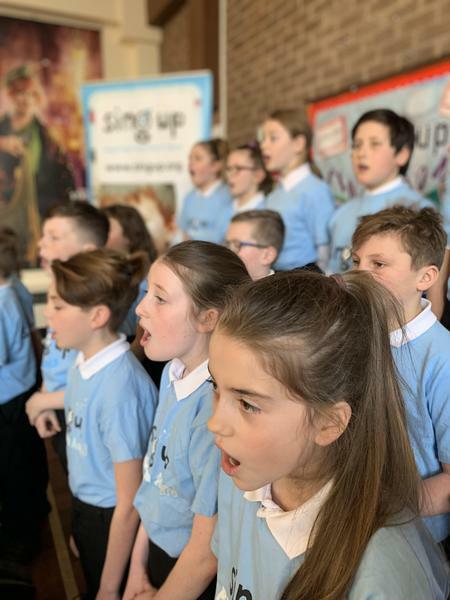 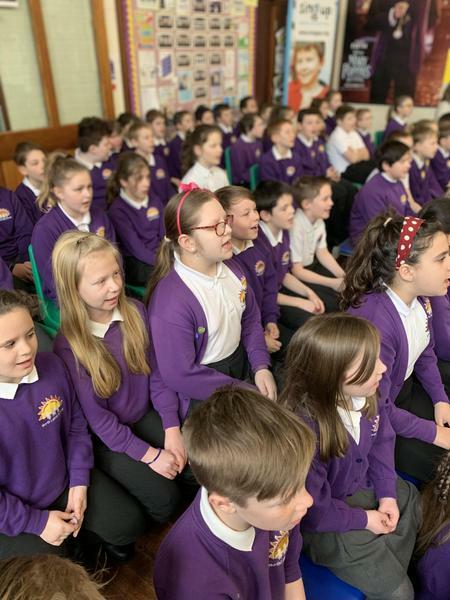 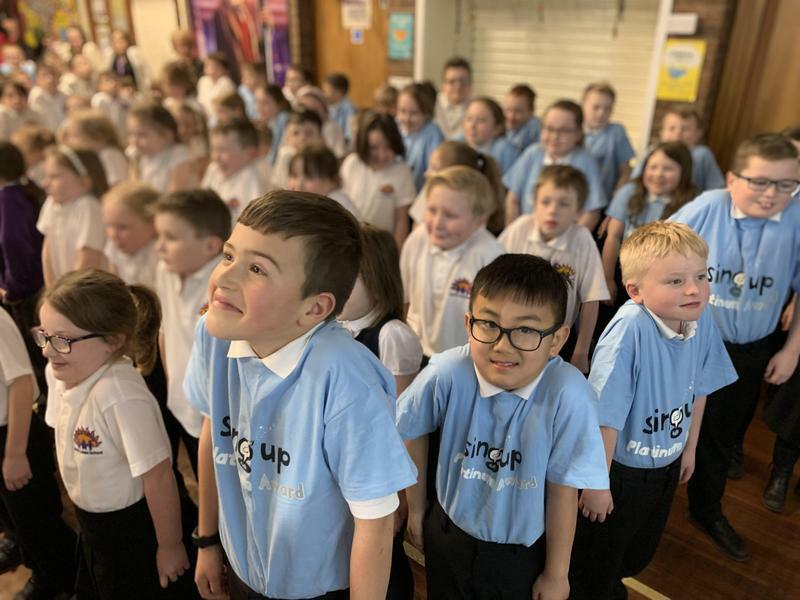 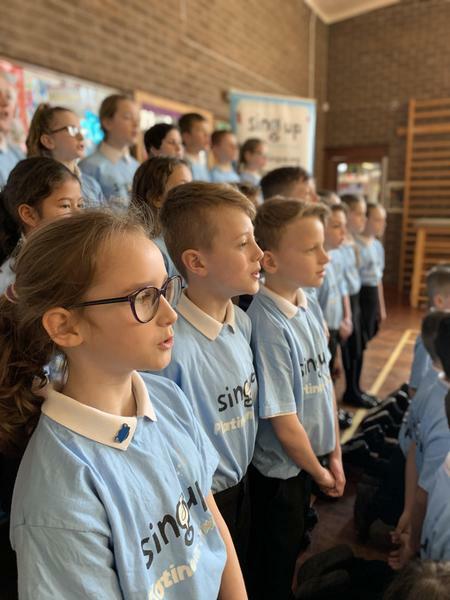 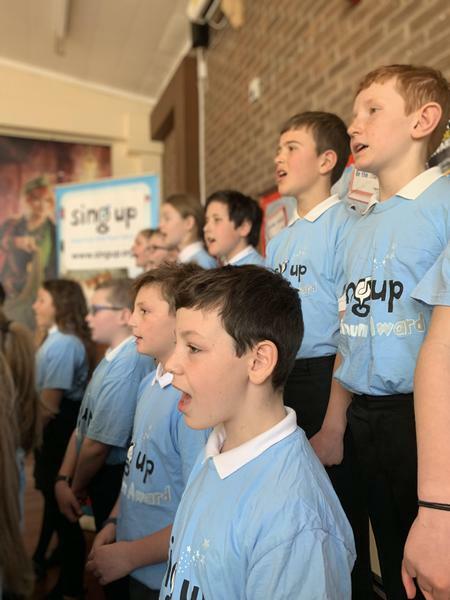 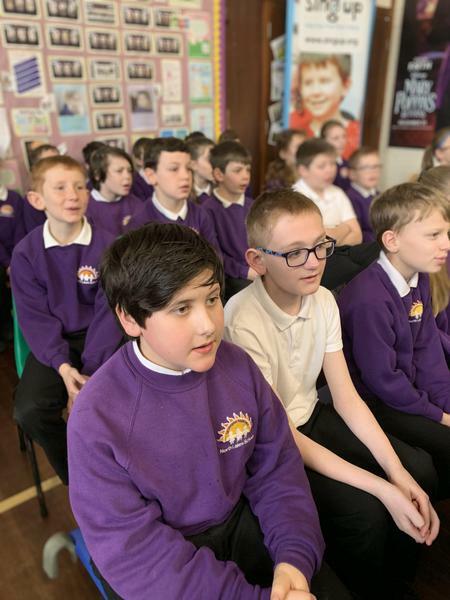 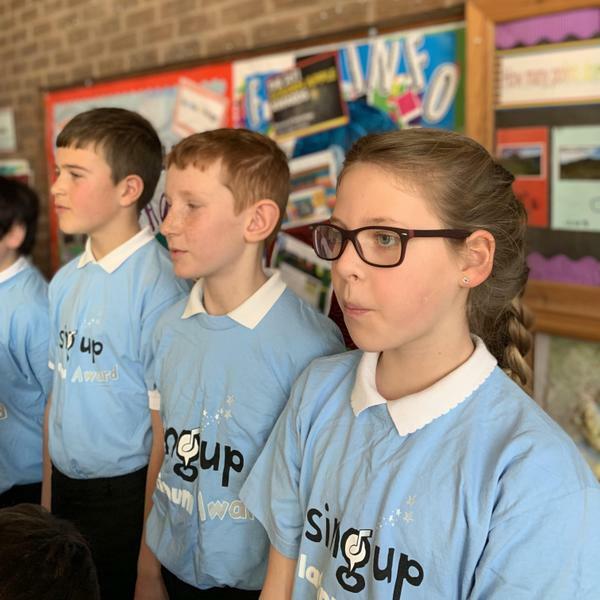 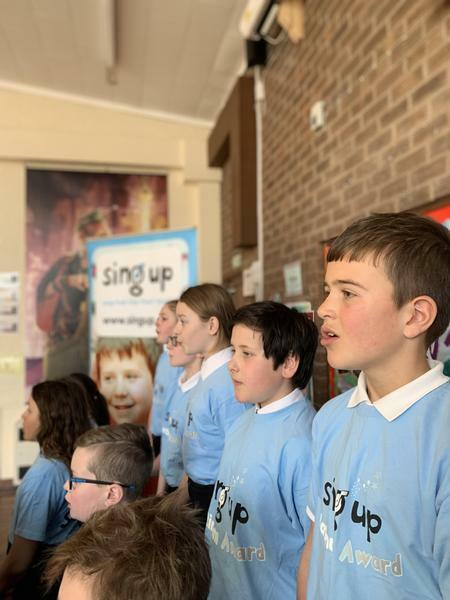 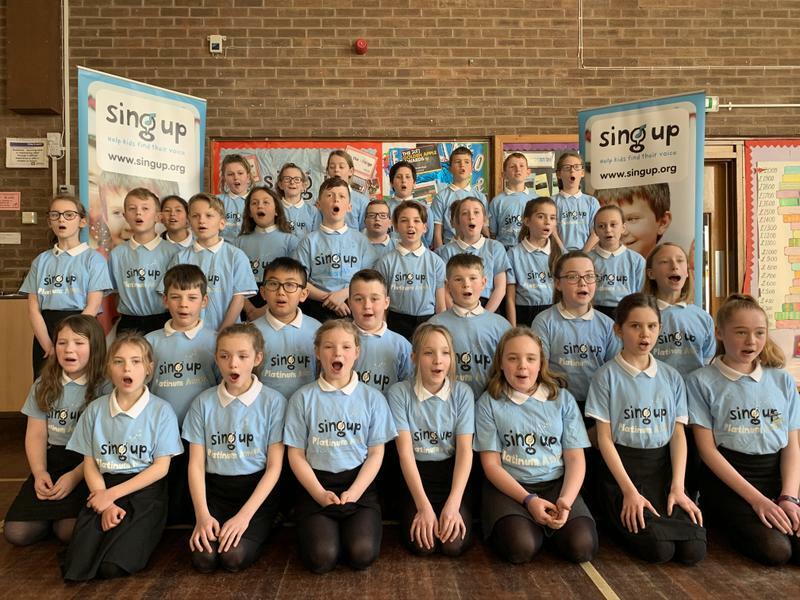 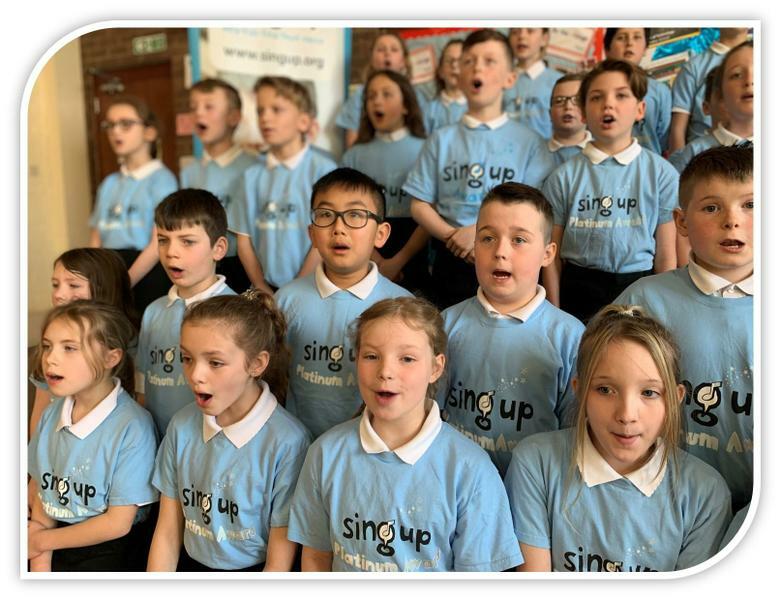 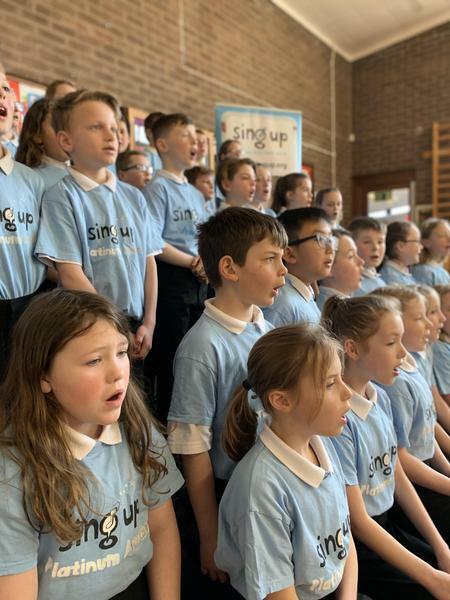 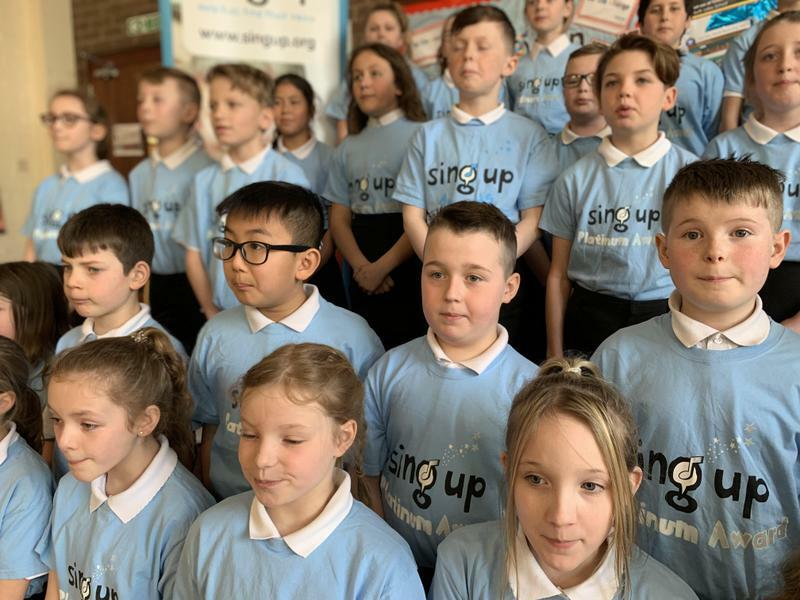 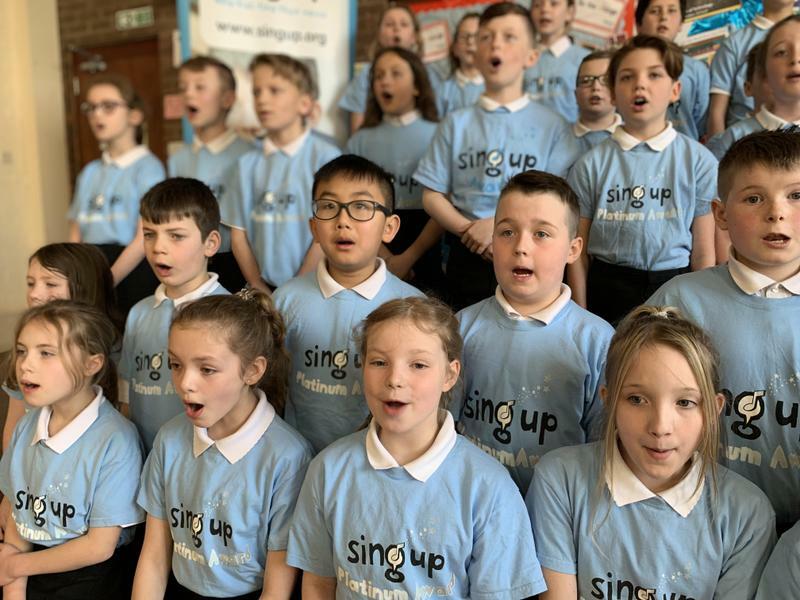 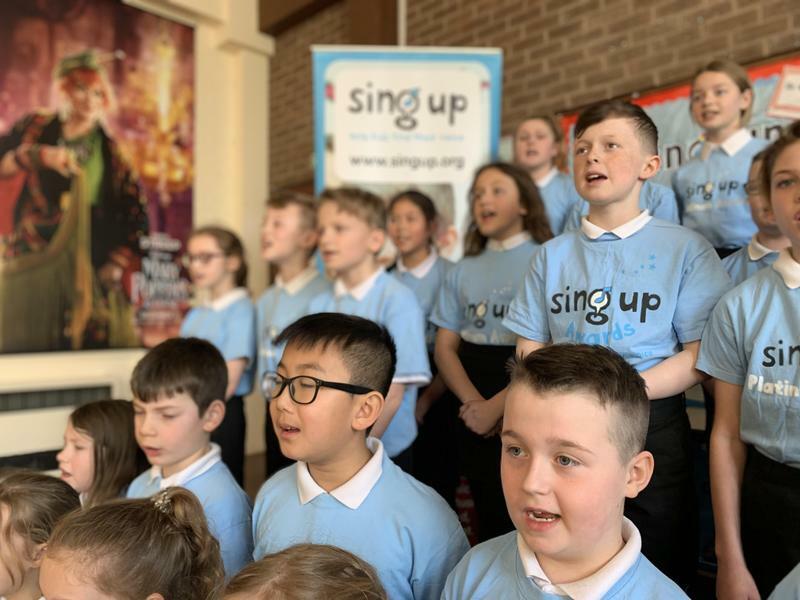 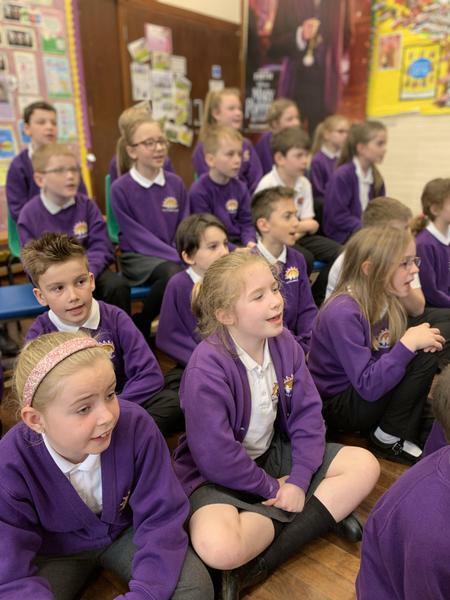 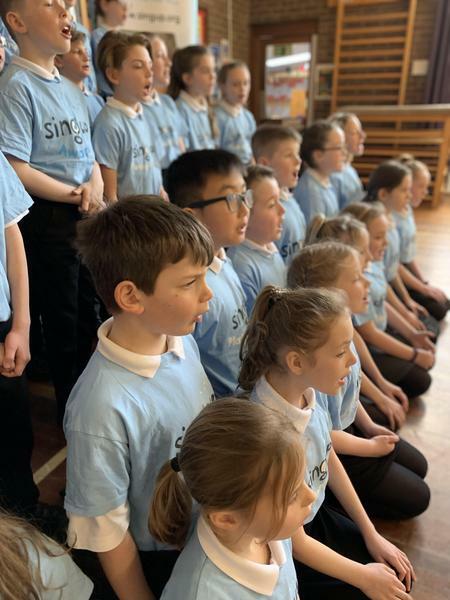 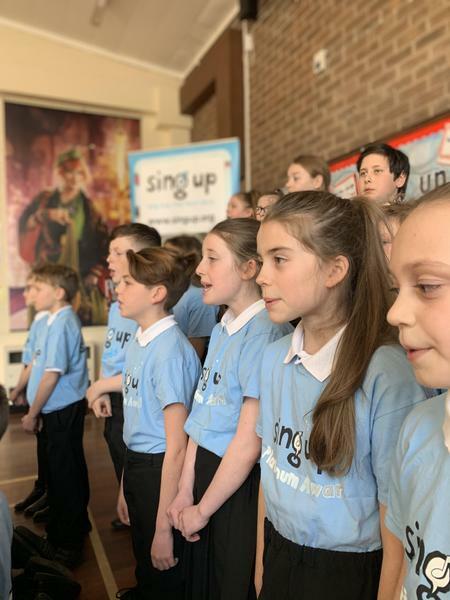 From the moment children boarded the school bus until the end of the Singathon, our timetable was packed with choruses from our favourite songs – every lesson began with song. 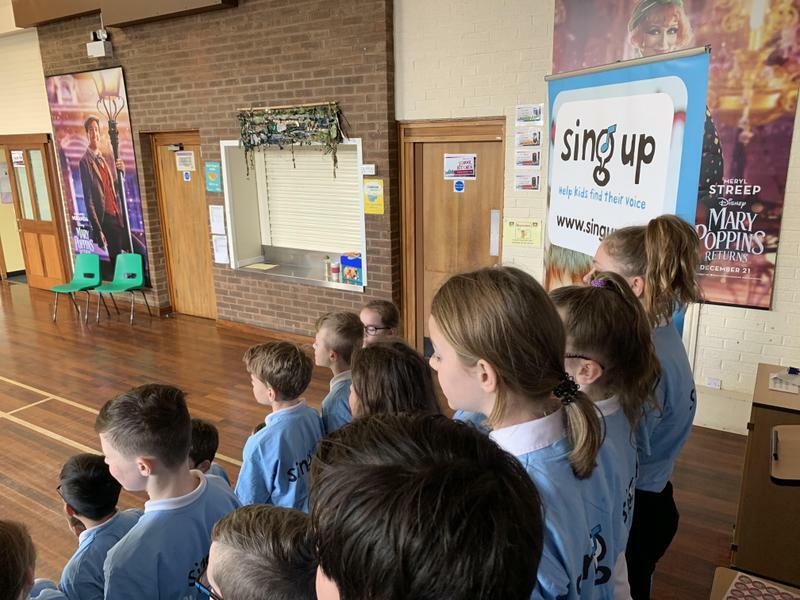 Other Sing Up Day activities included singing in the playground and the announcement of our new singing leaders who are: Faye, Caden, Greta, Holly, Henry, Keian, Lucie, Evie C, Ella R, Poppy, Katie G, Amelia, Ben A, Briana, Amy A, Ruby, Brooke N, Aiden E, Oliver M, Lola, Abi, Robbie, Emily S and Leoni. 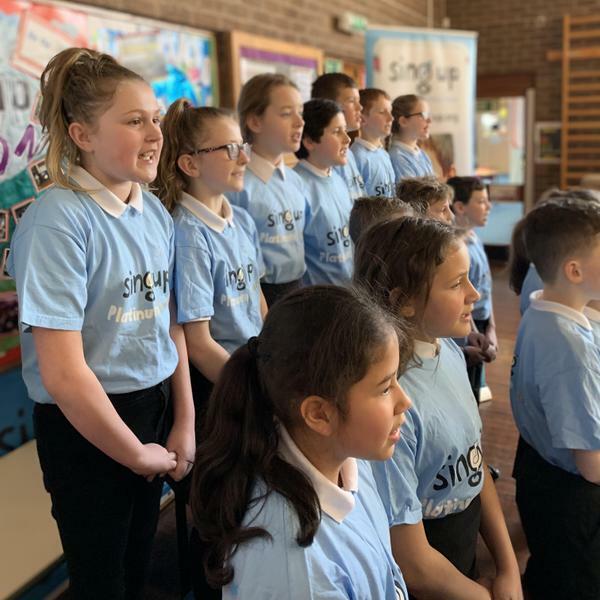 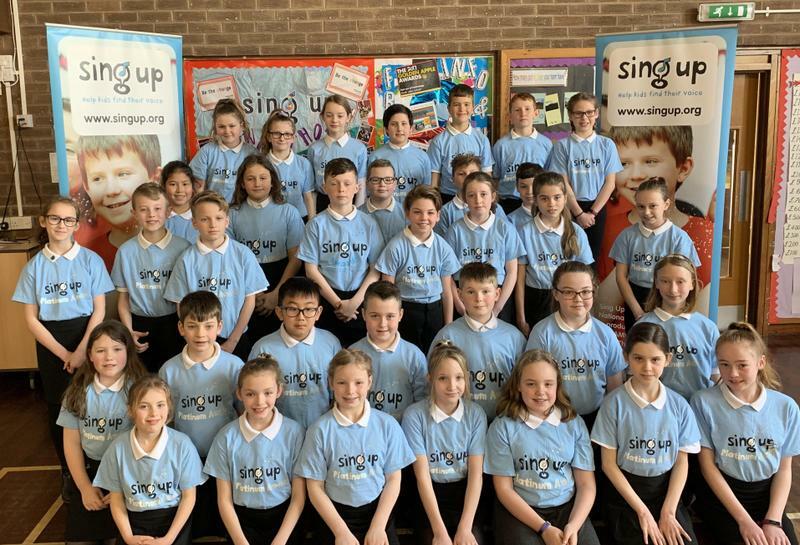 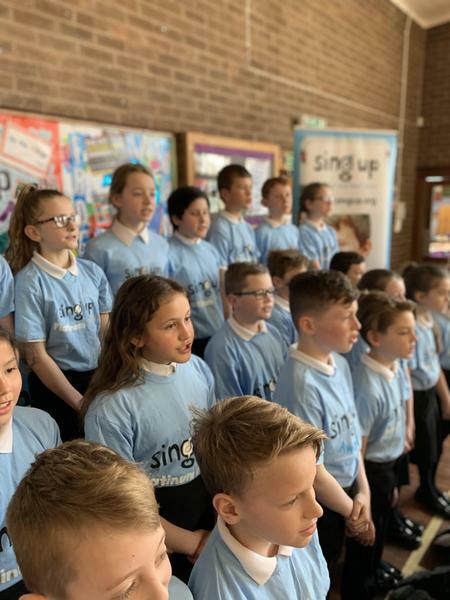 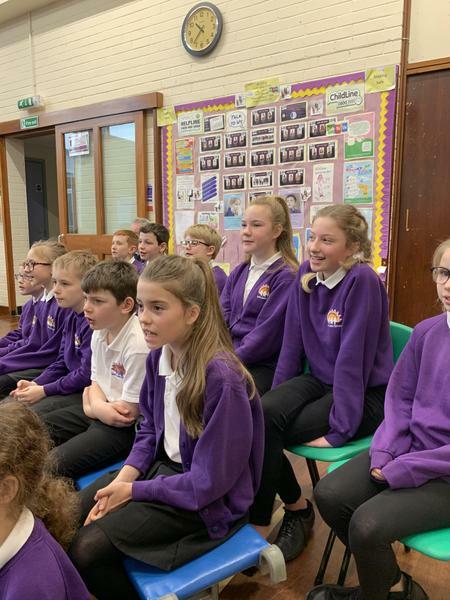 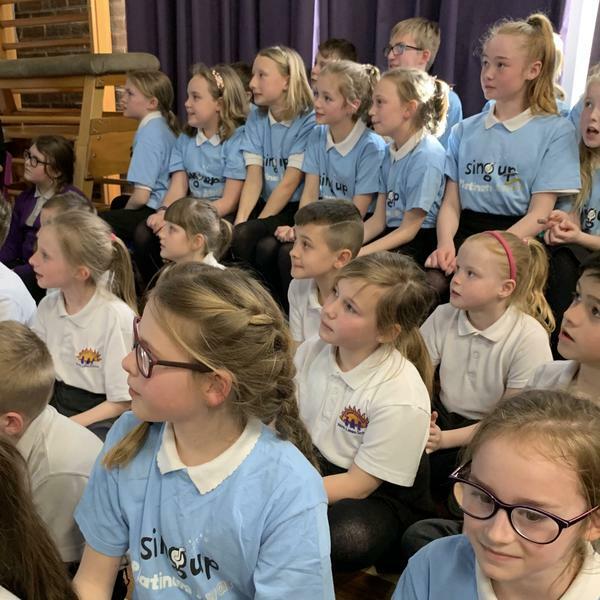 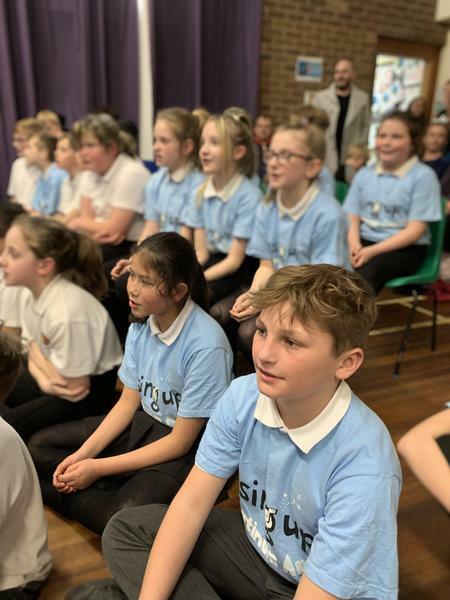 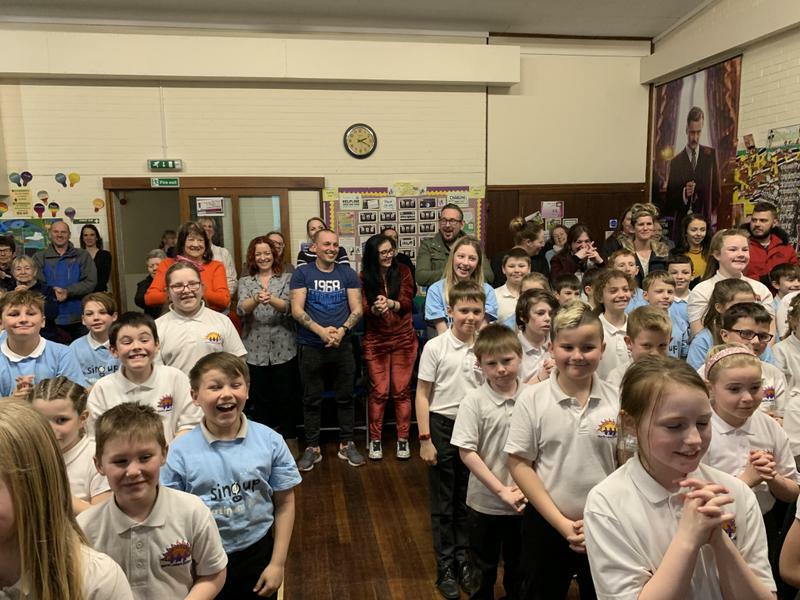 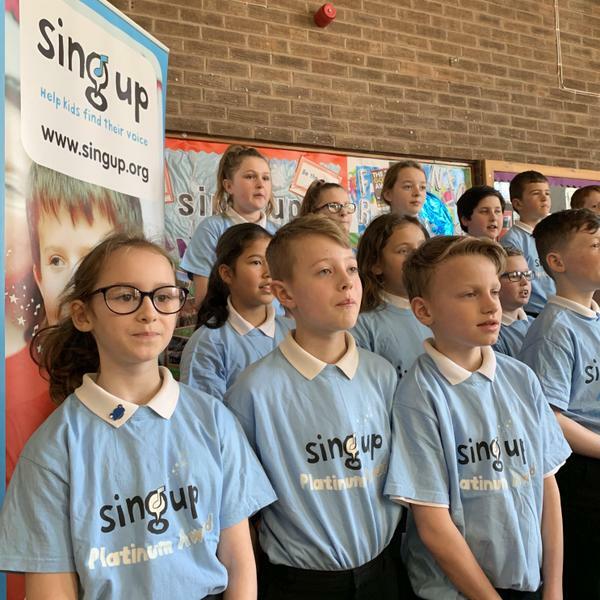 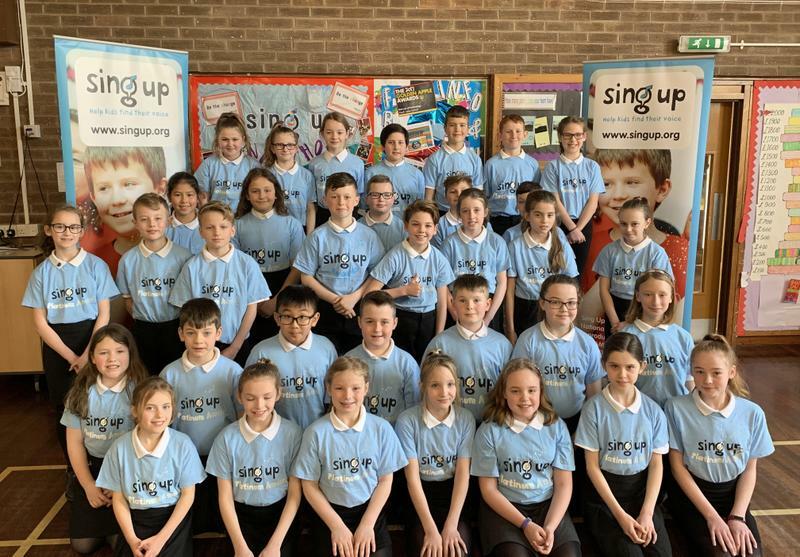 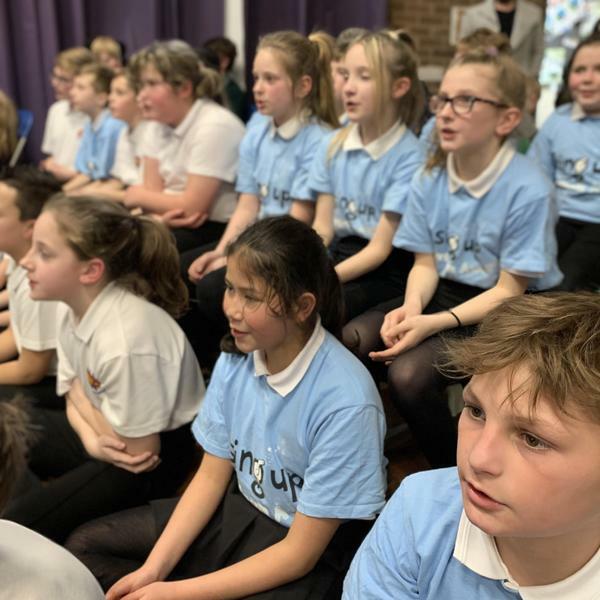 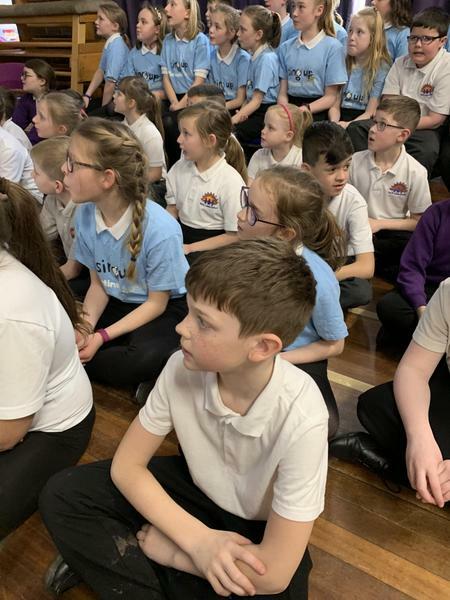 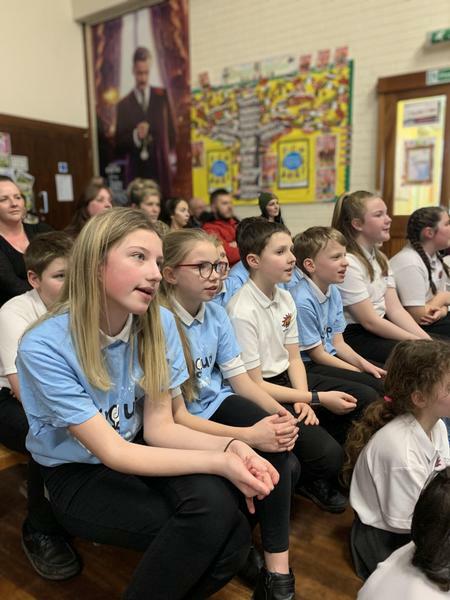 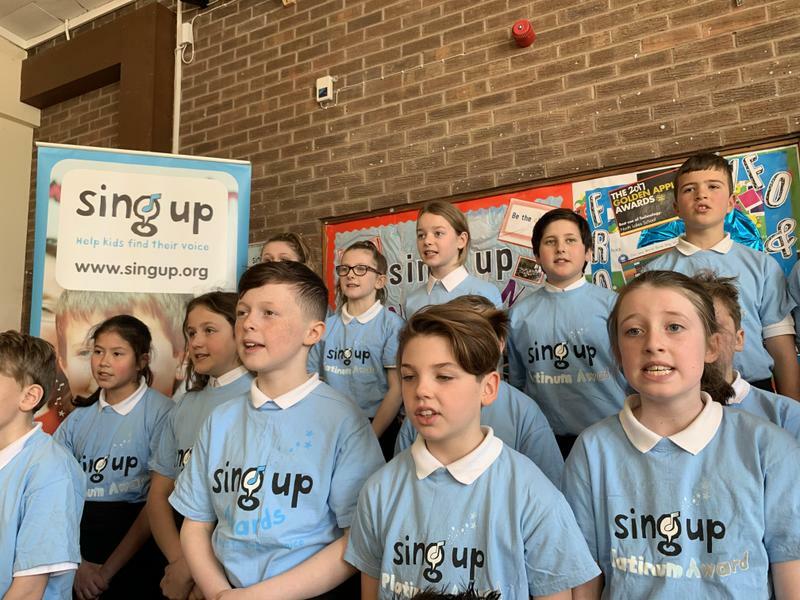 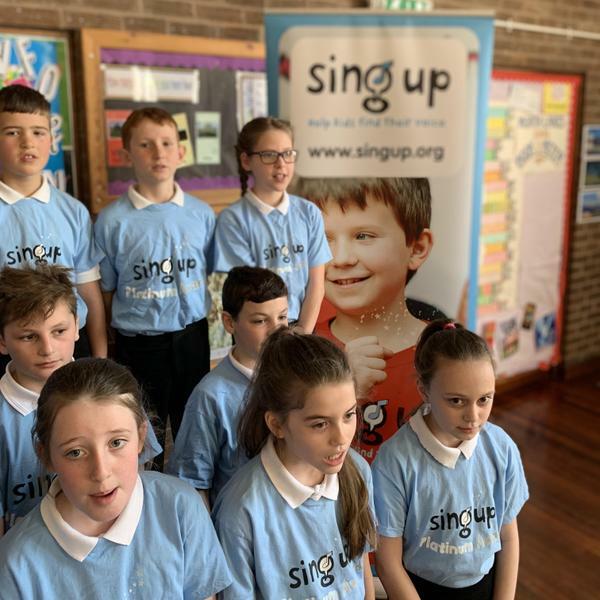 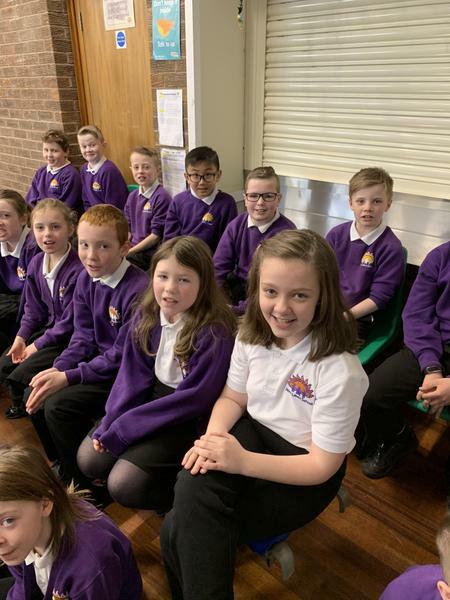 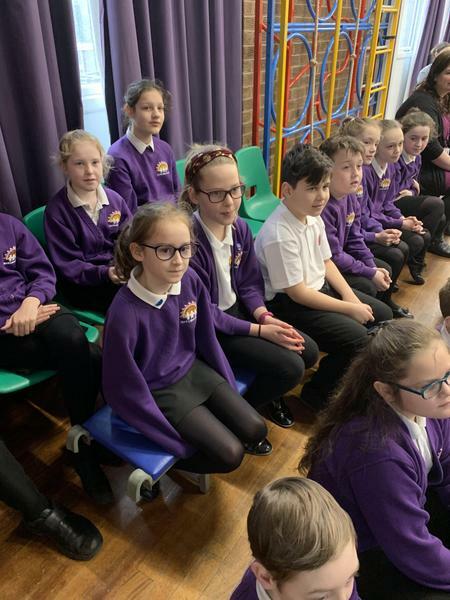 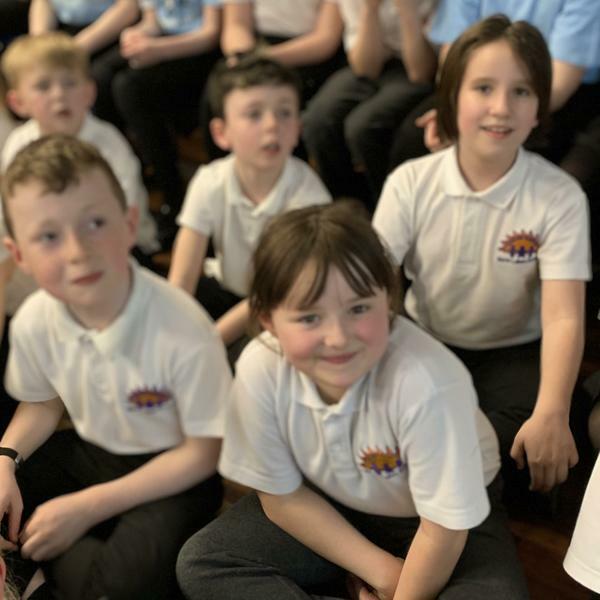 They join our current singing leaders: Megan, Kevin, Amelie, Connor H, Eleonora, Giorgio, Carrie, Thomas, Cerys and Kate W.
The day concluded with our special sponsored Singathon where over 40 parents and friends joined us. 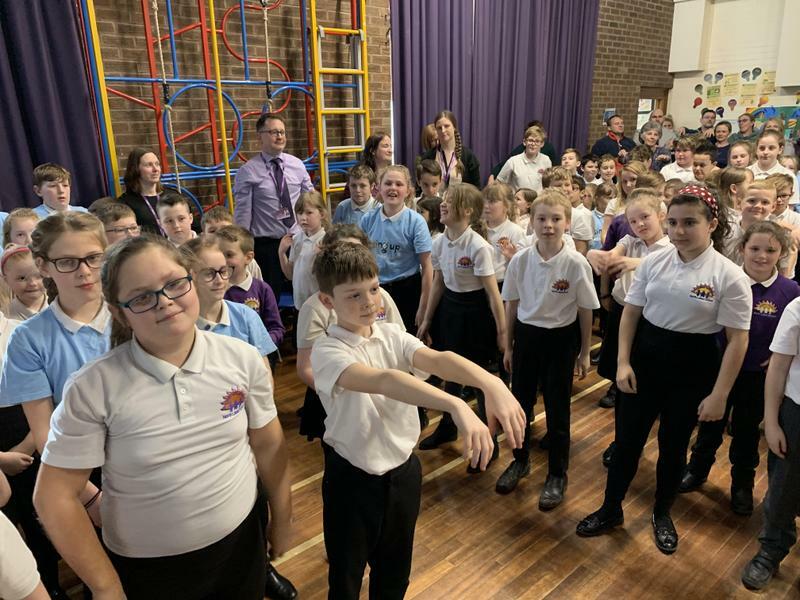 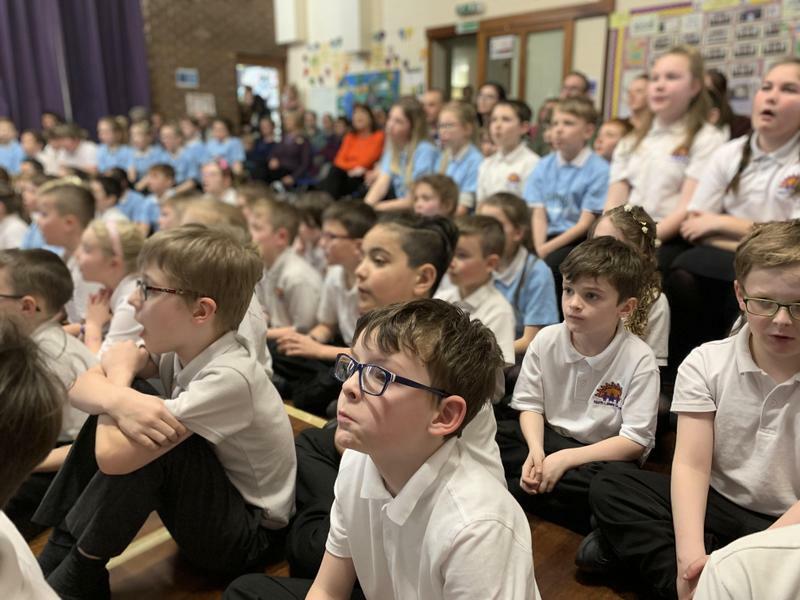 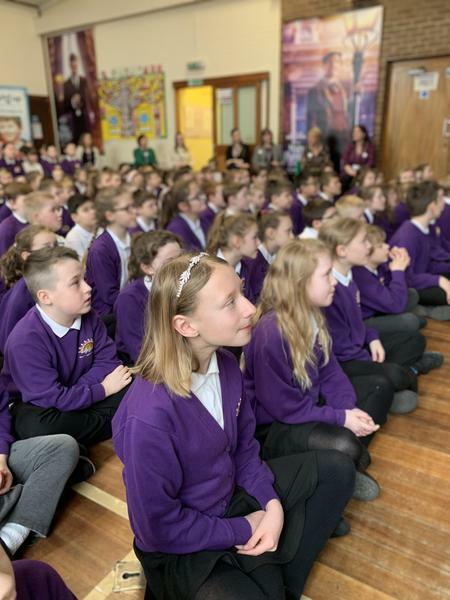 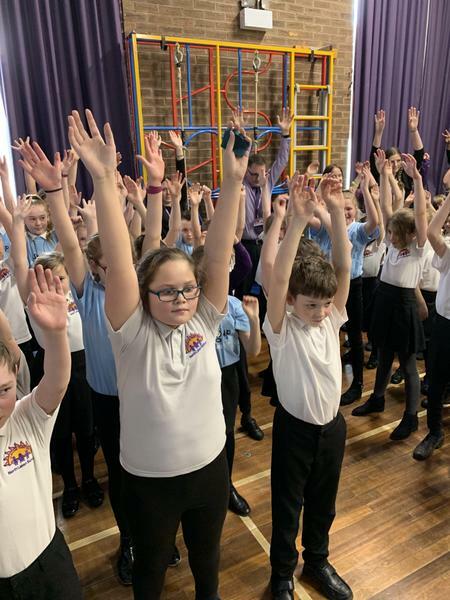 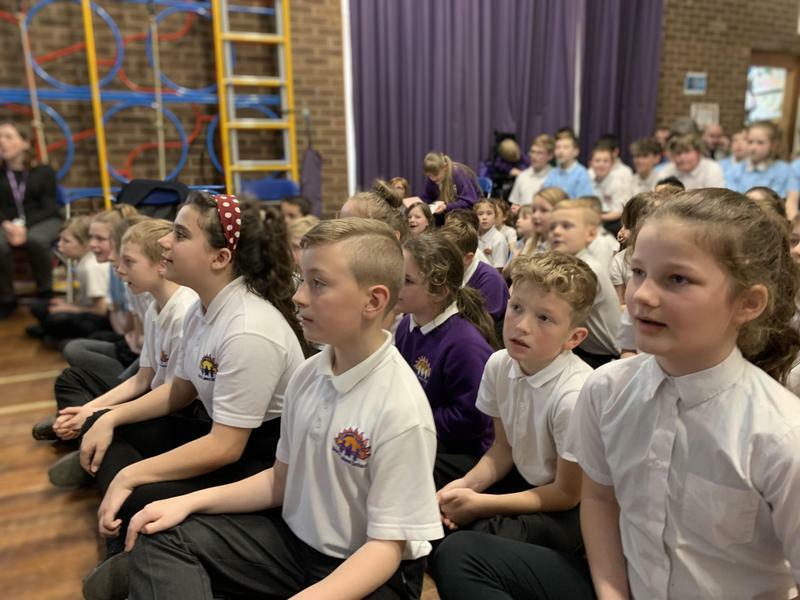 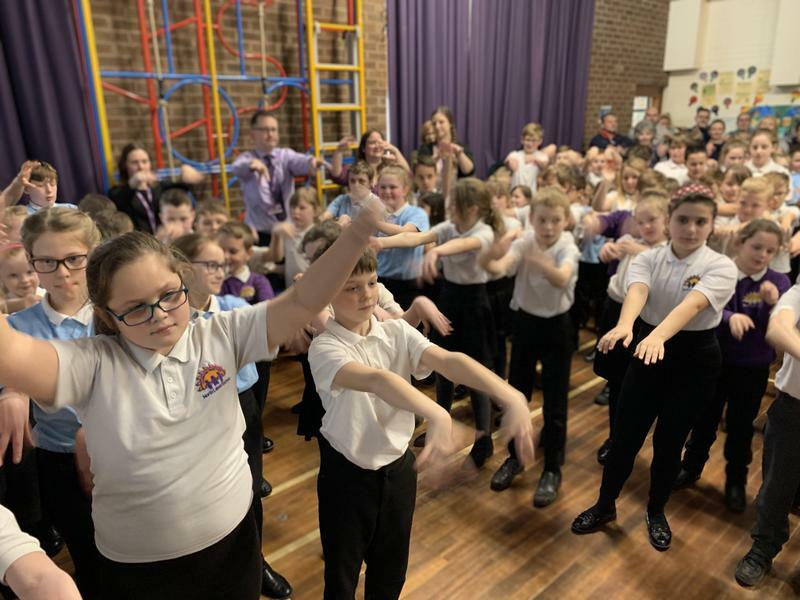 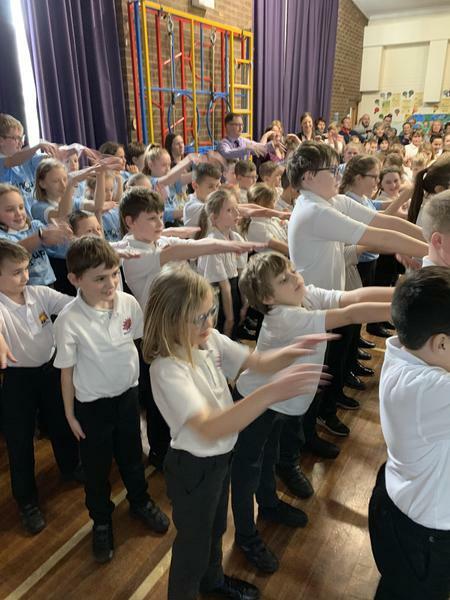 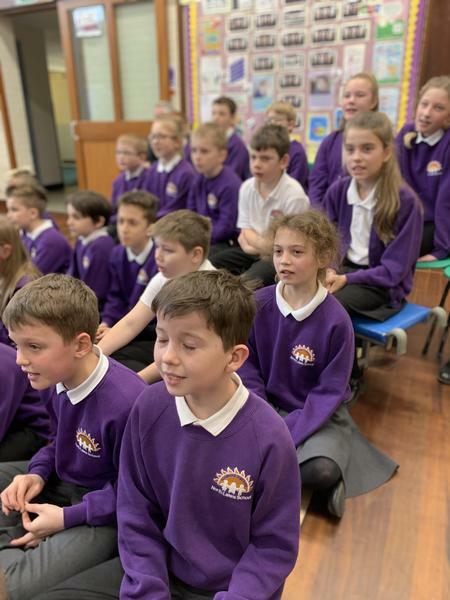 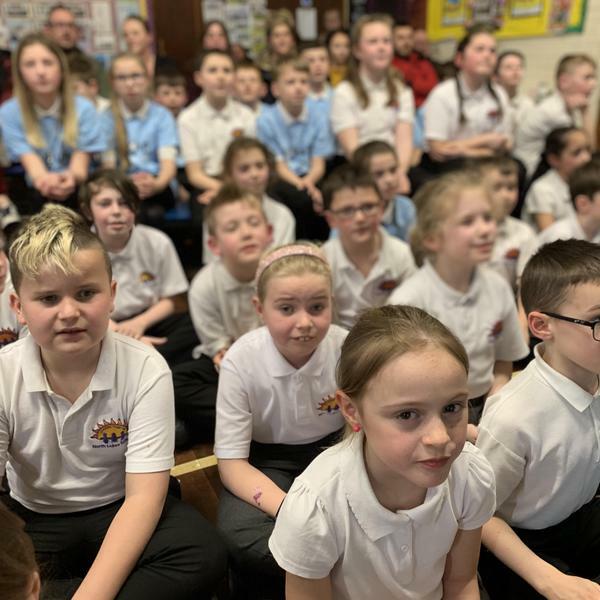 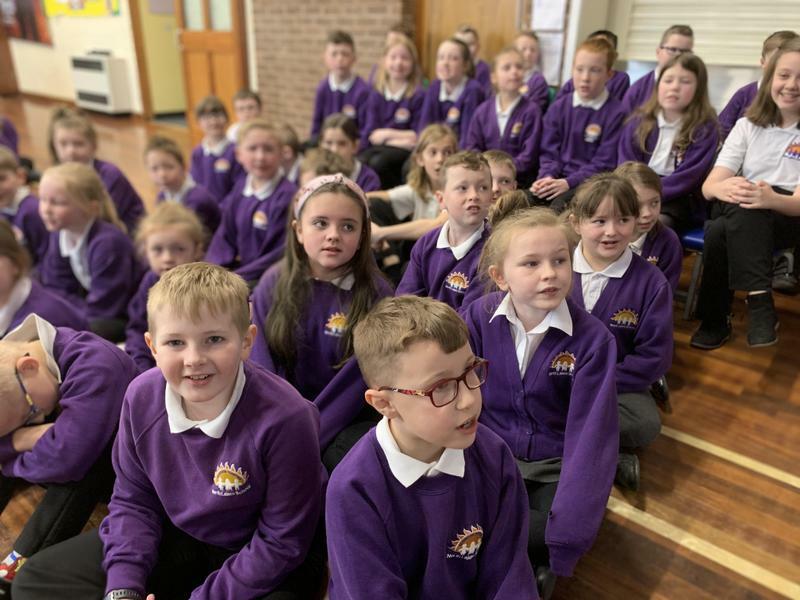 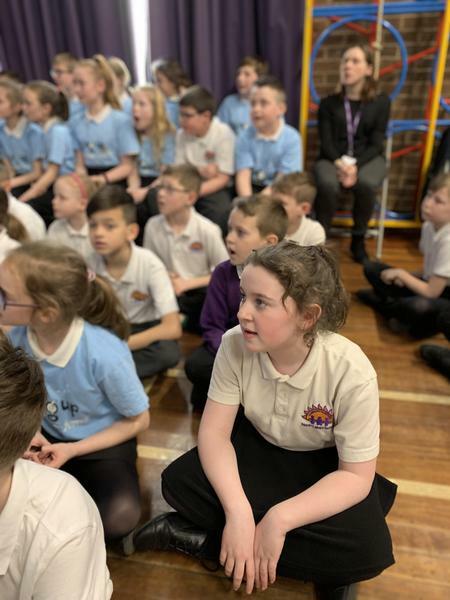 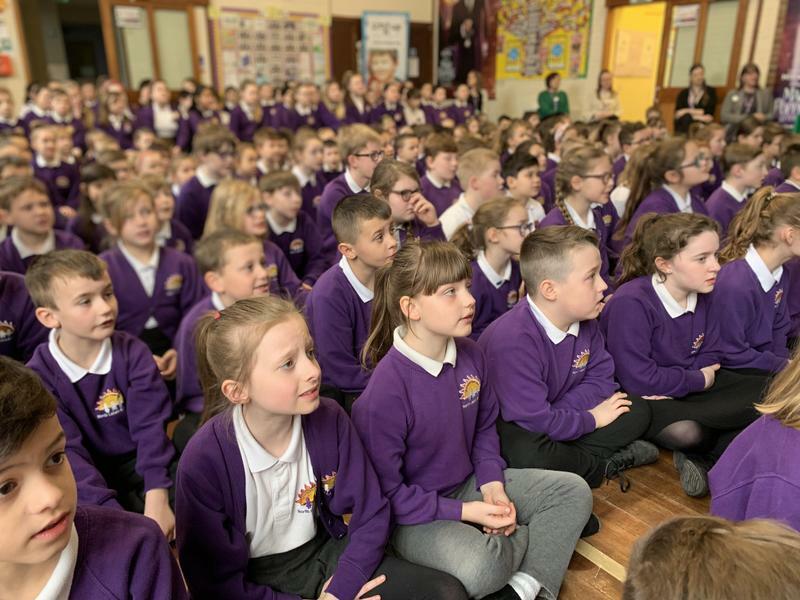 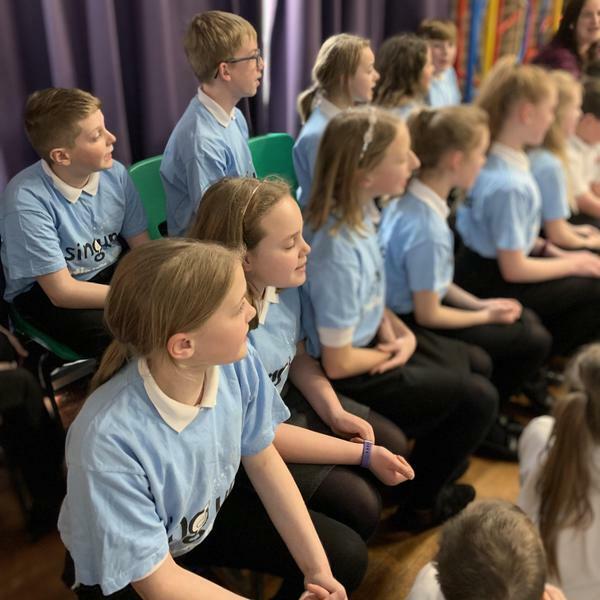 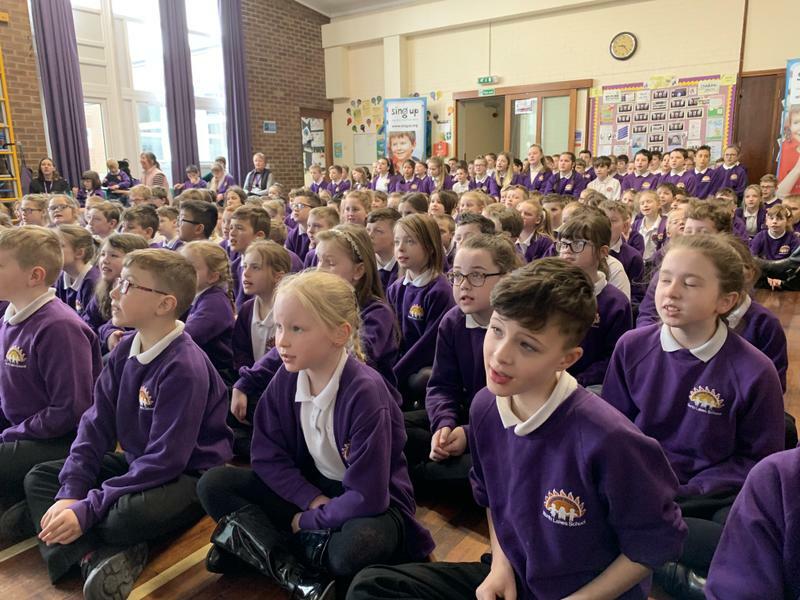 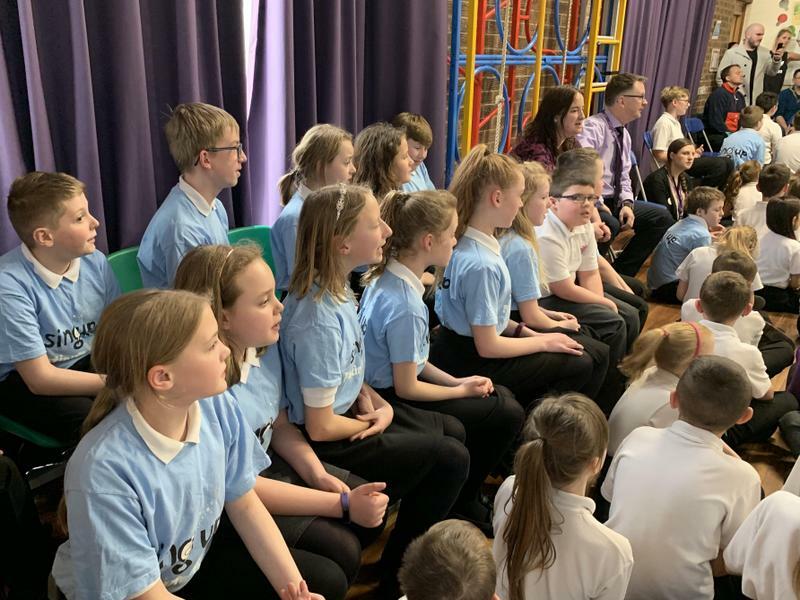 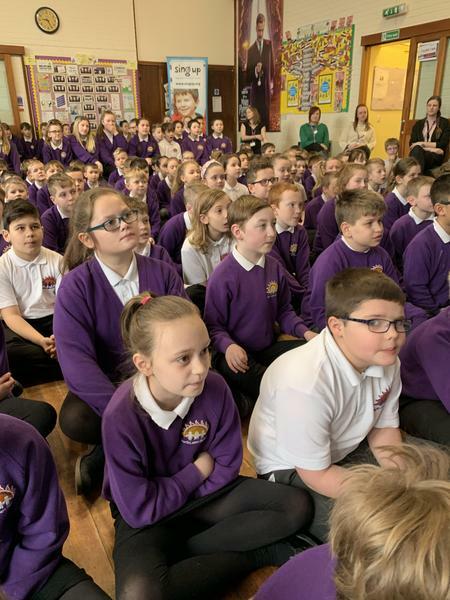 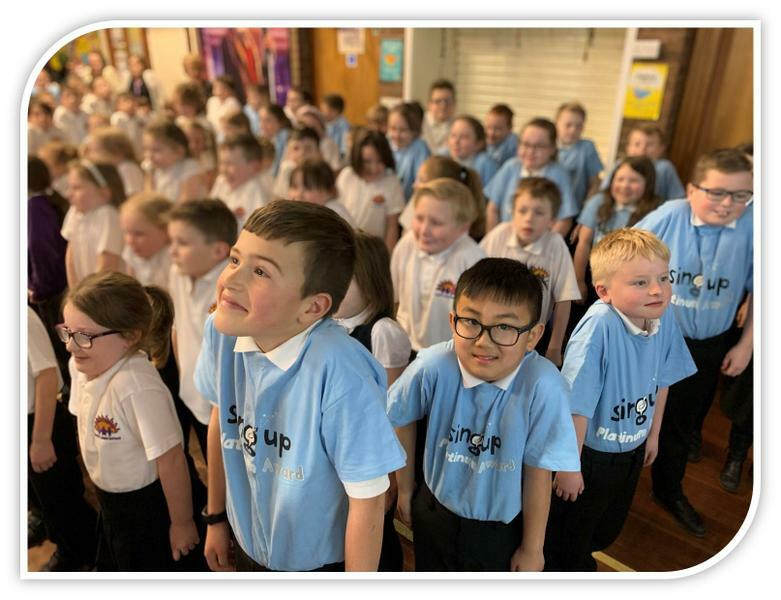 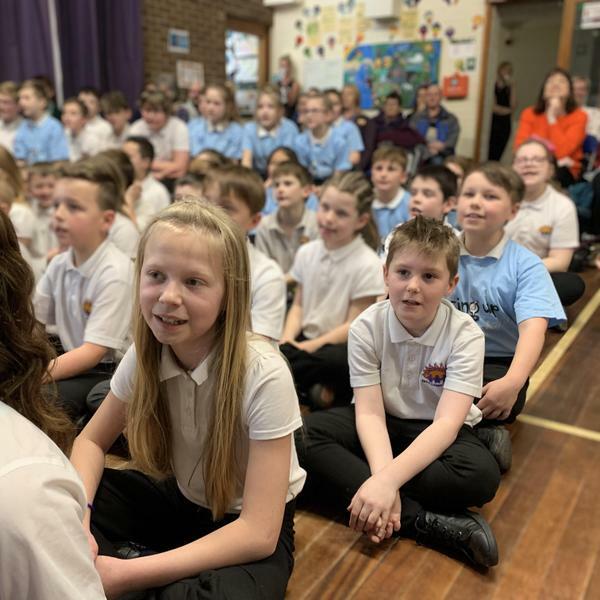 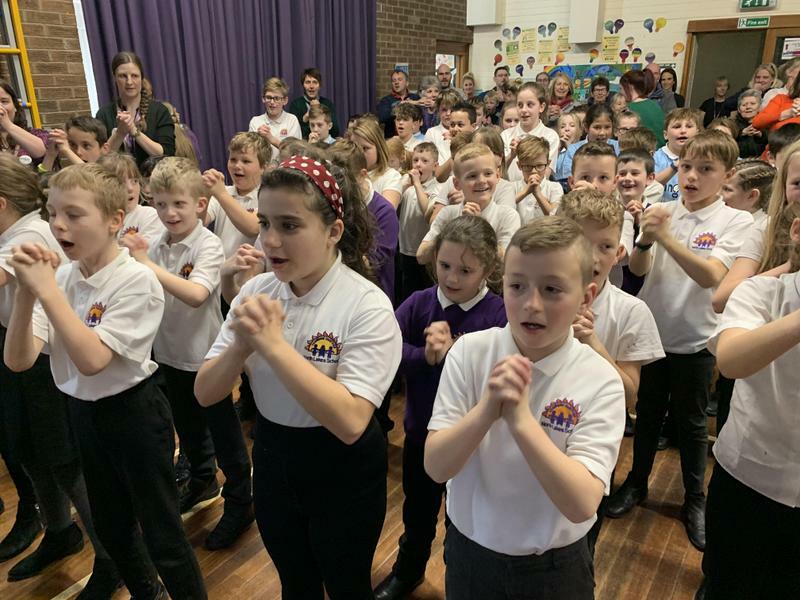 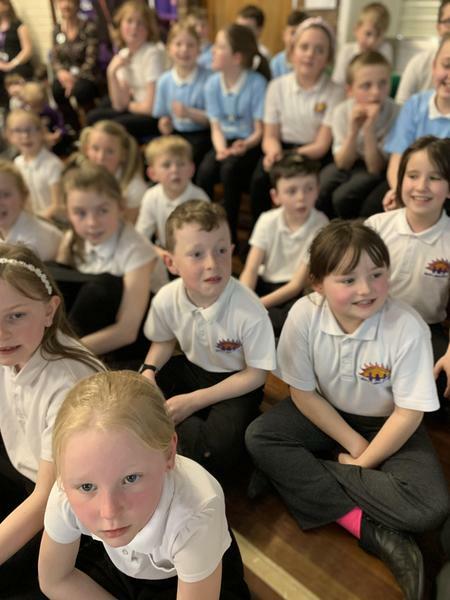 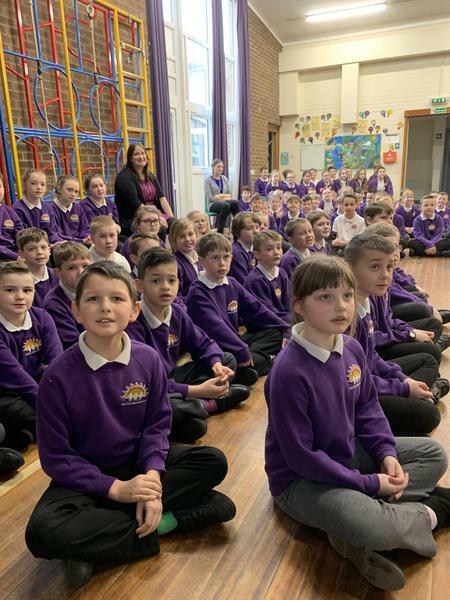 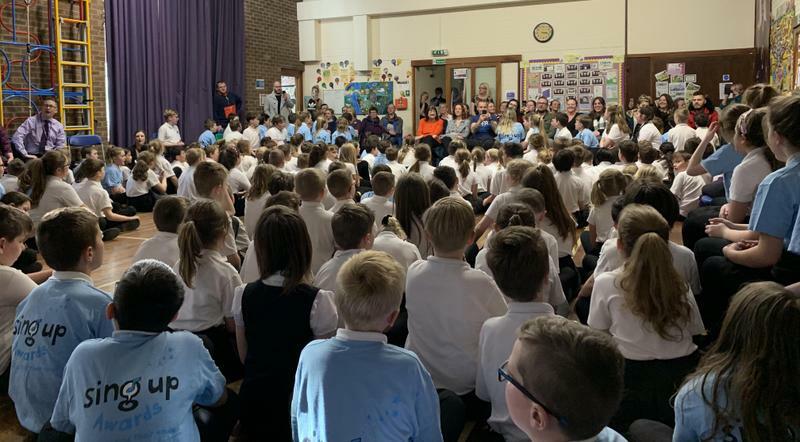 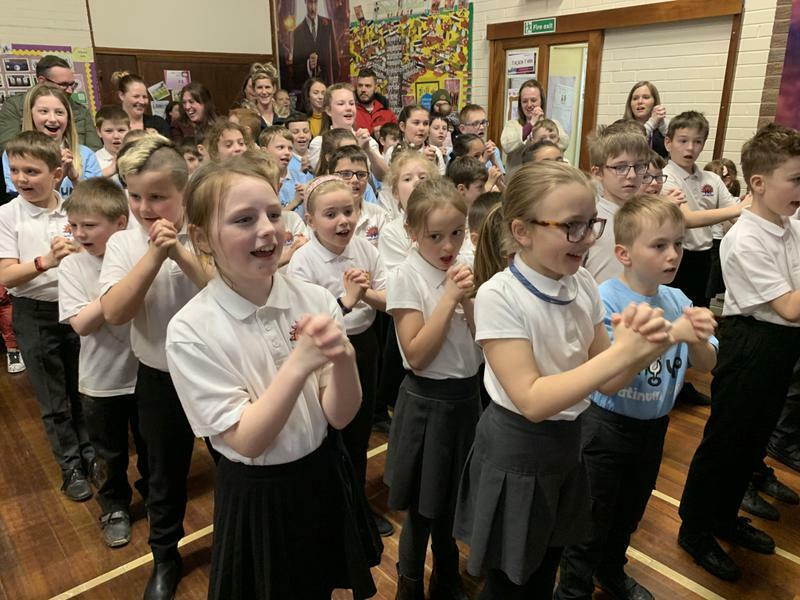 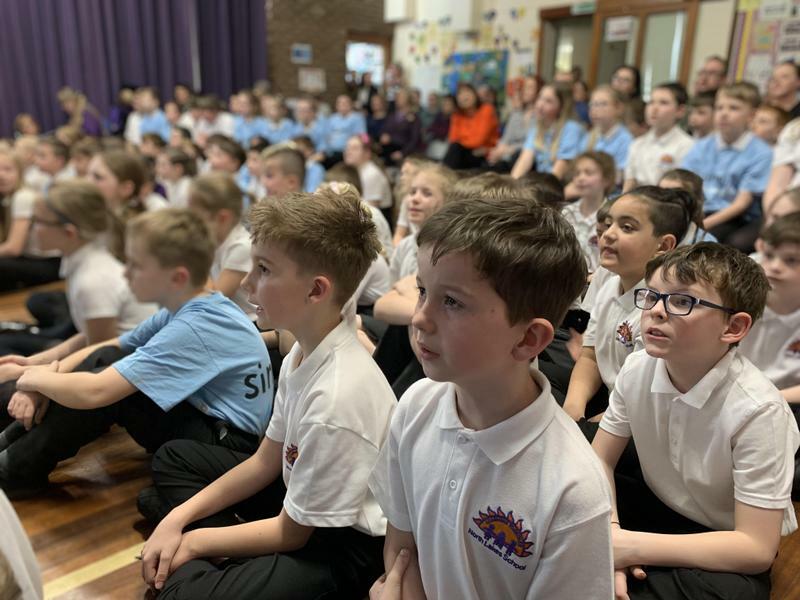 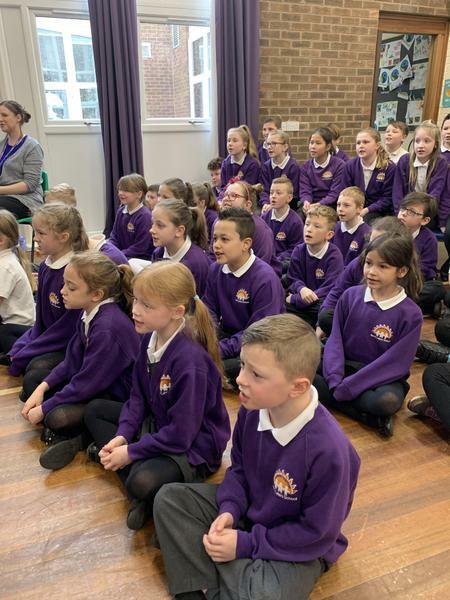 During the event children and parents took part in a special warm up and several roof-raisers were sung including ‘Be Safe’, ‘Spirit of the North’, ‘Put a Nose on It’ ‘Sing’ and ‘Hold Back the River’. 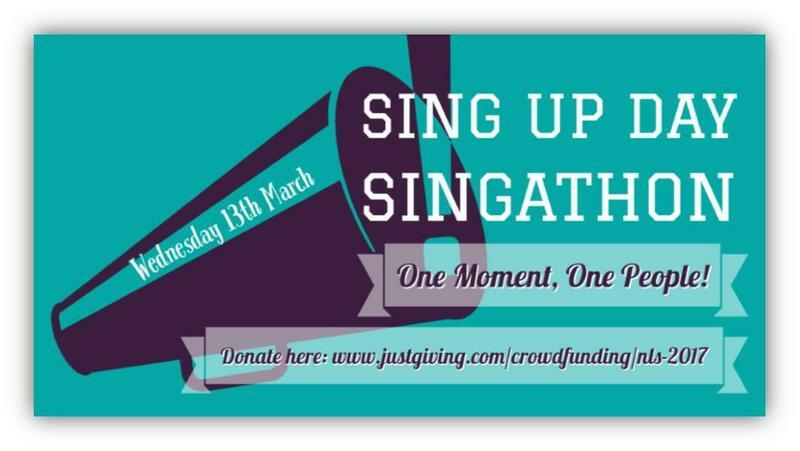 Our Singathon closed with a special performance of ‘One Moment, One People’. 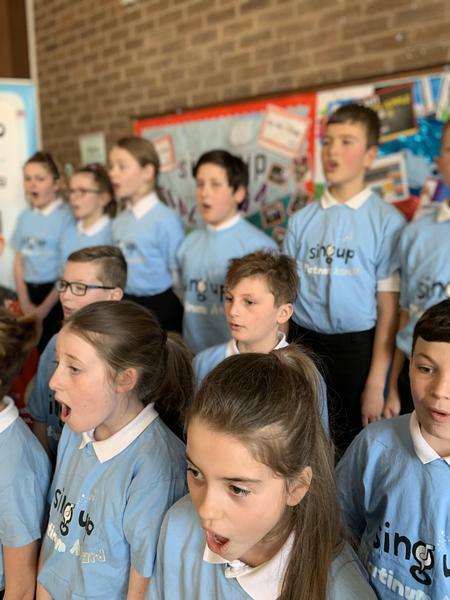 Earlier in the day the song was recorded and has been sent off to Sing Up HQ in London to be included in the National Digi-choir. 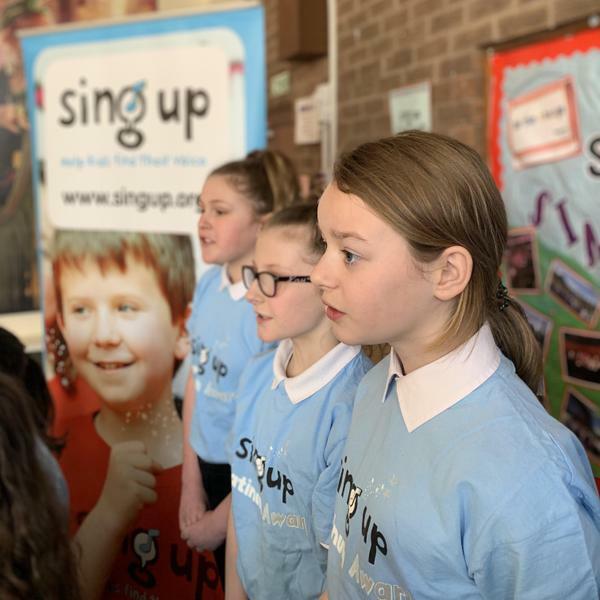 Singing is a free instrument and everyone has one! 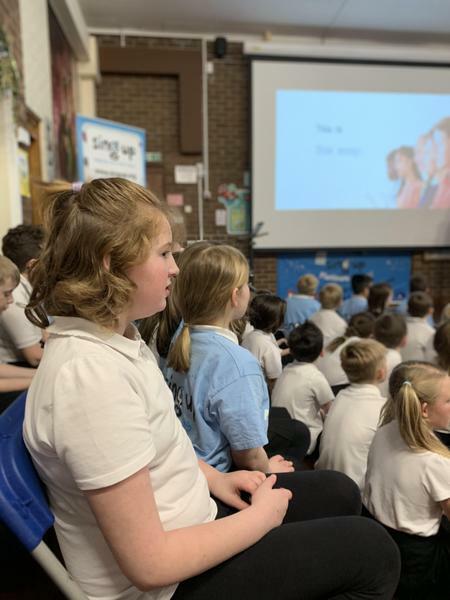 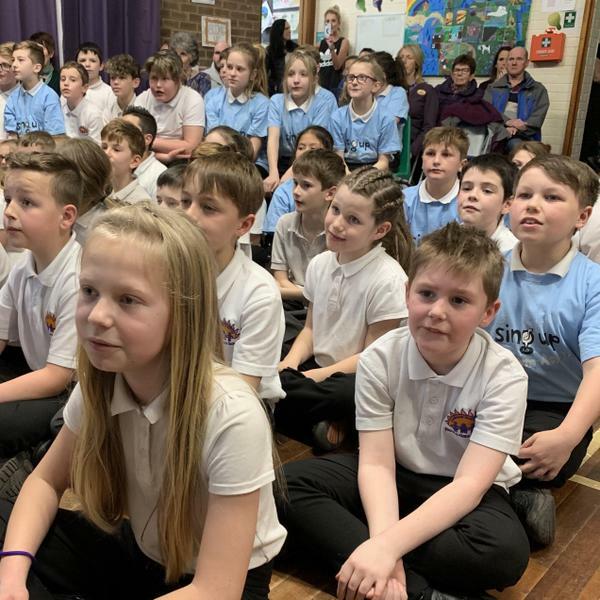 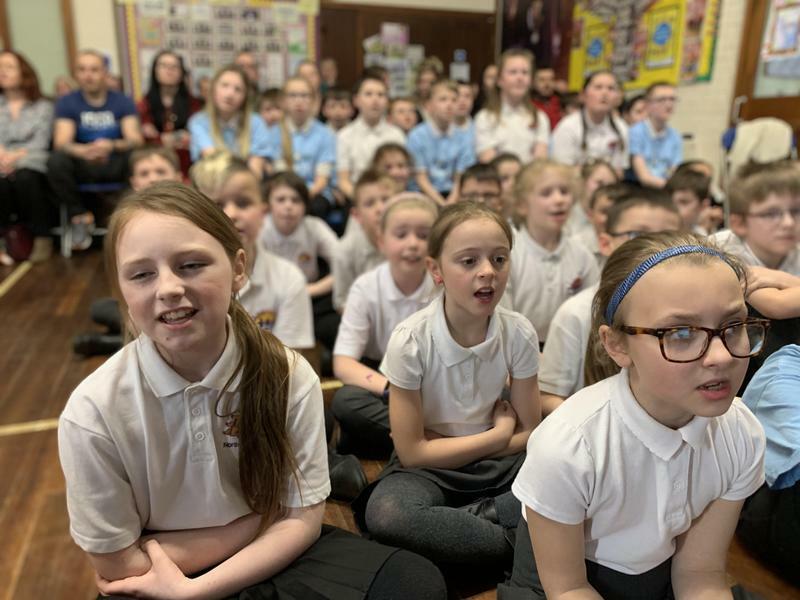 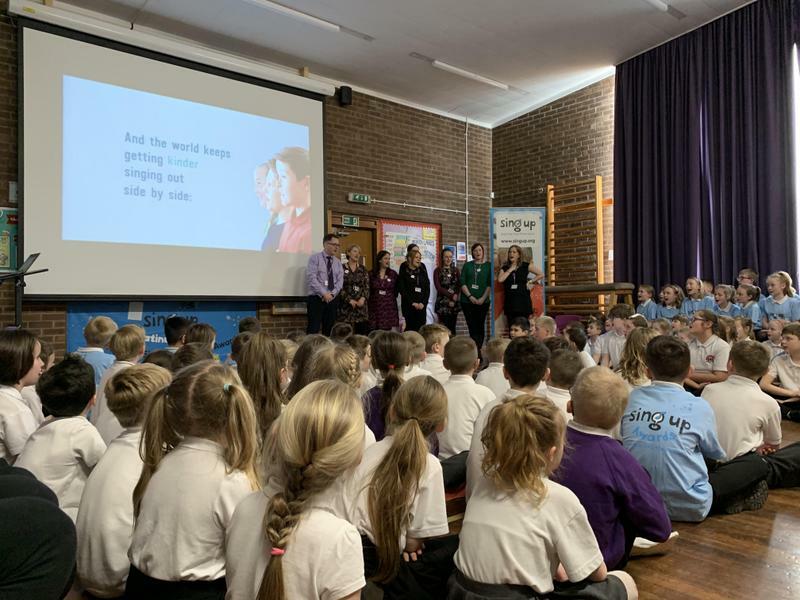 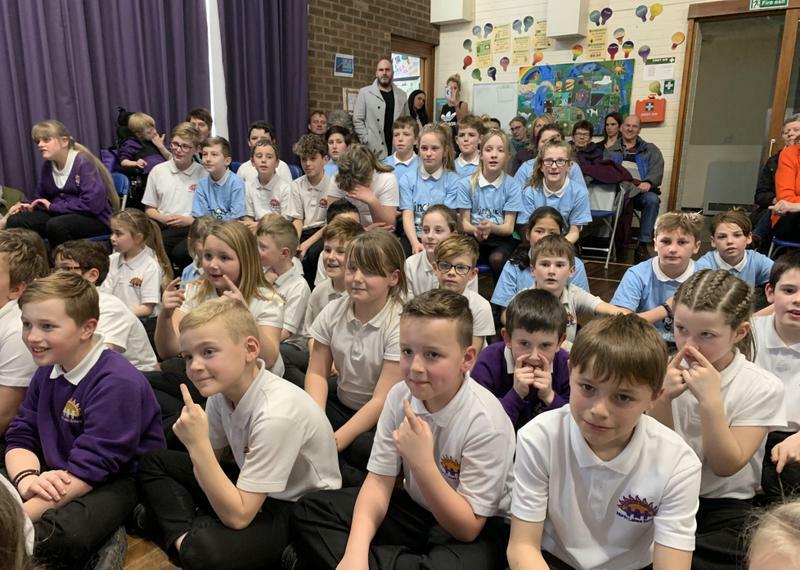 Everyone was able to take part in a very inclusive day which raised over £800 for school funds – a very impressive amount of money which will be used to help pay for enhanced learning opportunities throughout the school. 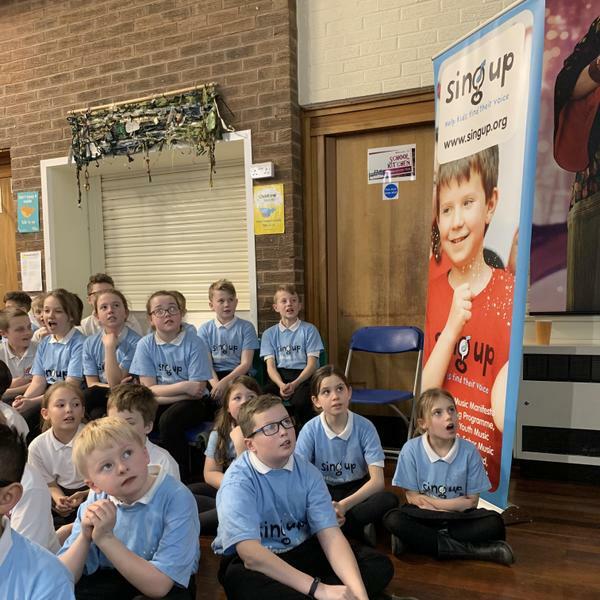 We would like to thank everyone who sponsored and attended our event. 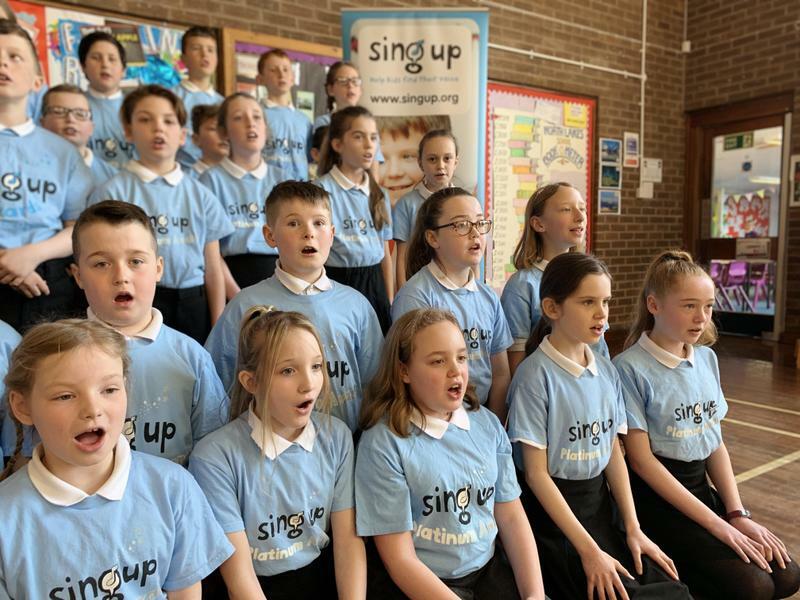 Our online Crowd Funding page is still open and you can still donate by clicking the link. 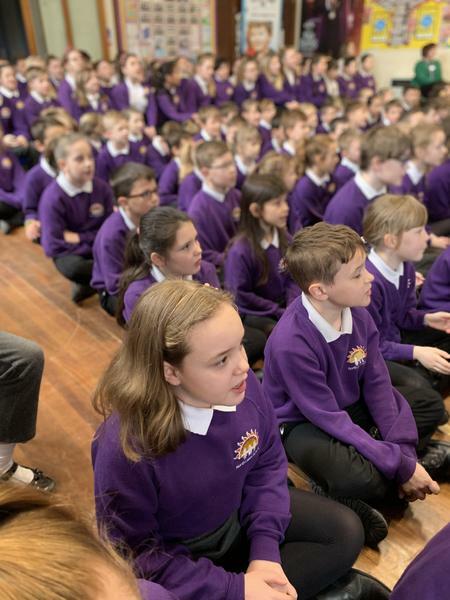 A video of the day can be viewed on the school website by clicking or scanning the QR links.